It’s no secret that organizations across the country have been struggling to find, engage, and retain skilled talent. In fact, 73% of CEOs say the availability of skills is a serious concern—so where are the resources to fill this need? We believe the answer lies in the continued rise self-employed professionals, a population that brings highly specialized services to the workforce. The number of self-employed individuals in the U.S. increased to 41.8 million in 2018, and generated roughly $1.3 trillion of revenue for the U.S. economy—equal to about 6.7% of U.S. GDP. Not to our surprise, many of these independent professionals have the skills top organizations are seeking. The large majority—79%—of independent professionals surveyed say they are happier working on their own than in a traditional job, so convincing them to join your organization full time is likely either costly or unattainable. Rather than creating a role that will require employment with a salary, consider if your organization’s needs could be better met with a project. By shifting your talent acquisition strategy, your organization can tap a wider pool of expert-level professionals who happen to be independent. But aren’t independent contractors risky? Yes, engaging independent contractors can be risky, but by working with a compliance and engagement partner, companies can onboard these resources at a cost-effective price without all the risks commonly involved. Once independent professional talent has been identified, their information can be stored in a private, front-end marketplace—an online platform that connects independent contractors with projects. Here, individuals can create a profile, update their availability, and be matched to opportunities with your company. A backend system handles the invoicing, payment, and compliance vetting. These platforms allow organizations to build their own talent pools, creating access to the best contract workers. Collectively, these practices are referred to as direct sourcing. Direct sourcing allows organizations to identify candidates for available opportunities using their own resources, decreasing reliance on third-party intermediaries such as staffing agencies or consulting firms. This helps reduce attrition rates by hiring the right person the first time, and takes the headache out of the recruitment process by removing legal and compliance risks. What Tools Do Companies Use to Manage These Populations? As previously mentioned, in order to minimize the risk associated with independent contractor engagement, organizations will benefit from working with a compliance and engagement partner. Firms like MBO Partners, for example, have extensive experience in independent contractor vetting and management, and can help minimize misclassification risk. Independent professionals have different levels of self-employability, as well as individual needs and requirements. It’s essential to work with a vendor that can provide flexible engagement options so your organization can provide a solution that works for everyone. You don’t want to force people into the wrong engagement solution—square pegs need square holes. A curated talent community provides organizations with access to a group of vetted independents that they can use to fill project needs. Online consultant marketplaces like MBO’s marketplace allow hiring managers to develop private talent pools to easily find, engage, and re-engage top independent talent. These programs help reduce the costs associated with time-to-fill, recruitment, and training. Lastly, integrating the right technology platforms ensures all independent professionals are directly sourced for assessment and engagement. Technology can facilitate an initial and ongoing compliance process, create a curated talent community, standardize payment, and gather valuable data that can be easily reported on and measured. A program that incorporates these four elements will not only minimize misclassification risk, save costs, and attract top talent, but it will help position your organization as a forward-thinking leader, both among peers as well as among the independent professional community at large. Interested in learning more about leveraging tools and resources to build or enhance your enterprise’s Preferred Talent Network? Explore MBO’s marketplace to engage skilled independent contractors for consulting jobs with your company. 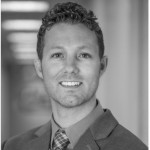 Dustin Talley, Director of Solution Design, serves as a consultant to MBO Partners Enterprise clients and assists them in designing and deploying their direct sourcing strategy.